Our 8-oz. size Lavender Hand Sanitizer is the perfect size to keep on your desk or in areas with high traffic use. 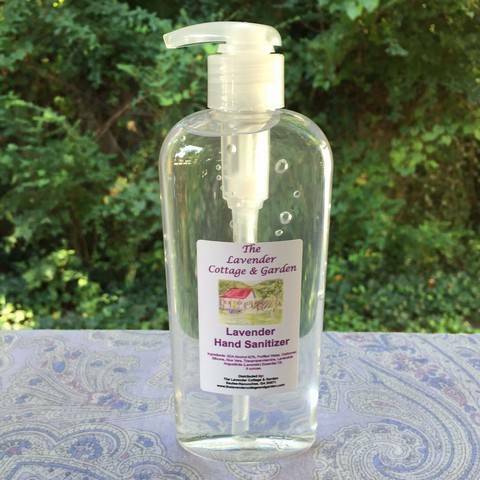 The fresh lavender scent freshens your hands while helping to eliminate germs! Ingredients: SDA Alcohol 62%, Purified Water, Carbomer, Silicone, Aloe Vera, Trisopropanolamine, Lavandula Angustifolia (Lavender) Essential Oil.